Mounts LVH1 horizontal or vertically. 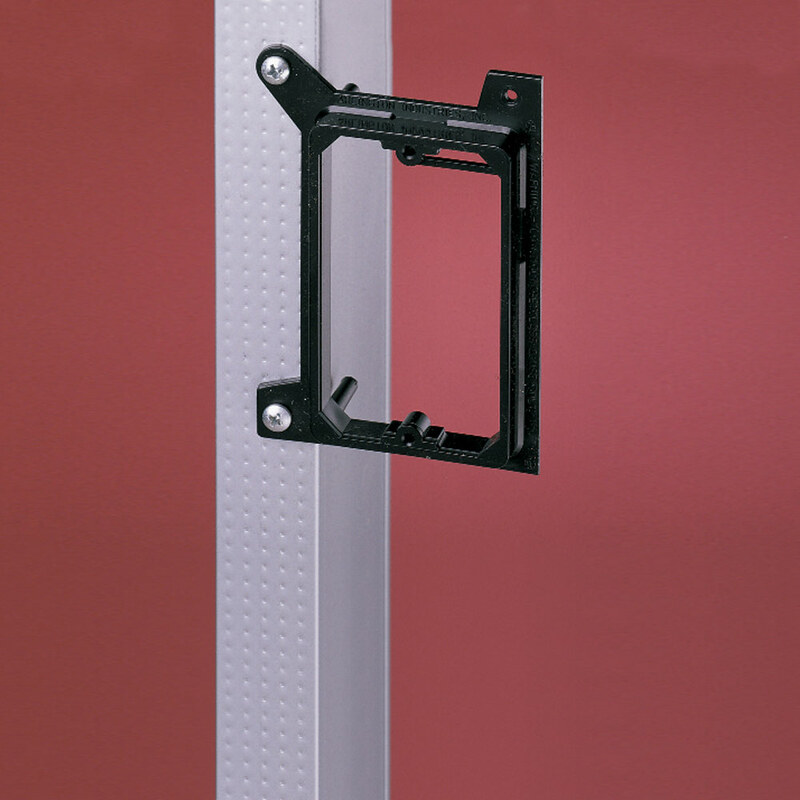 Sturdy tabs provide extra-secure mounting. Work smart with convenient wire tie-off slot at the top. 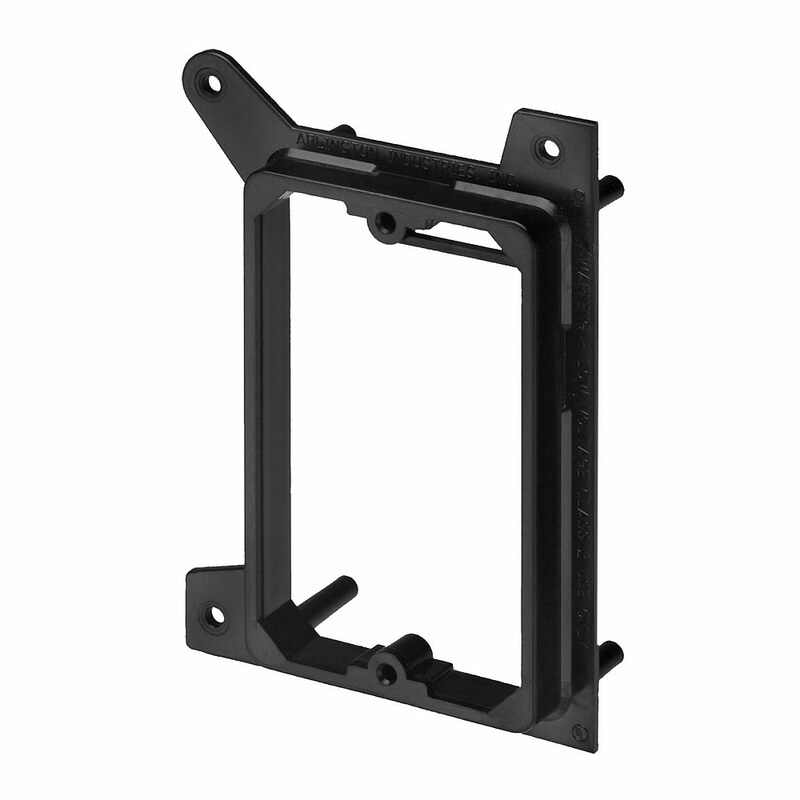 Costs less than metal mounting brackets without sacrificing quality. Made in the USA. Minimum Sheetrock or Panel Thickness - 0.36"
Side Wall Thickness - 0.125"
The use of 4 extended rear posts provides firm support to prevent wobbling. The shallow mounting depth also works better with reversible wall plates since the box itself is not obstructing the wire passage. Arlington Industries has also designed their new construction brackets to have a front nail flange as well as a full outer flange for sheetrock to be backed up to ensuring proper support for the sheetrock and proper depth.